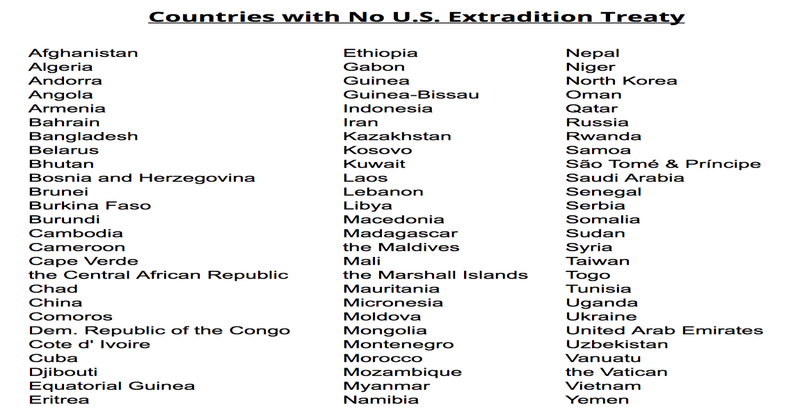 According to this report, on 12 April, former CIA Director Brennan requested a visa to travel to the Russian Federation—a common near monthly occurrence for current and former US government officials traveling to Russia to attend international conferences being held there—whose travel requests for former US officials are all handled through such agencies as the Travel Document System (TDS)—but that instead of using, saw Brennan applying for his through the normal “work visa” process afforded to journalists, as he works for NBC-MSNBC as their top national security correspondent—with it to be noted that the difference between these two types of visas forbids the holder of a diplomatic one from claiming political asylum, while those arriving in Russia on a “work visa” are allowed to apply for political asylum. It was Brennan who reported “contacts… between Russian officials and persons in the Trump campaign”, just as it was Brennan who first referred the case to former FBI Director James Comey. 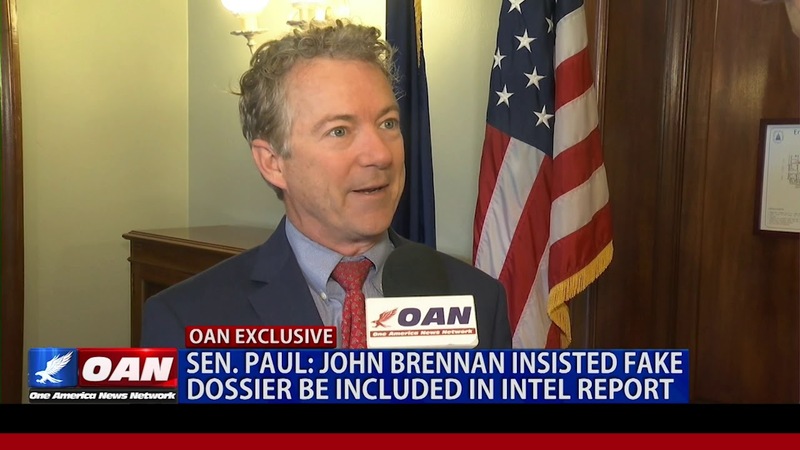 And it was Brennan who persuaded US Senate Democrat Party leader Harry Reid to petition Comey to open an investigation. 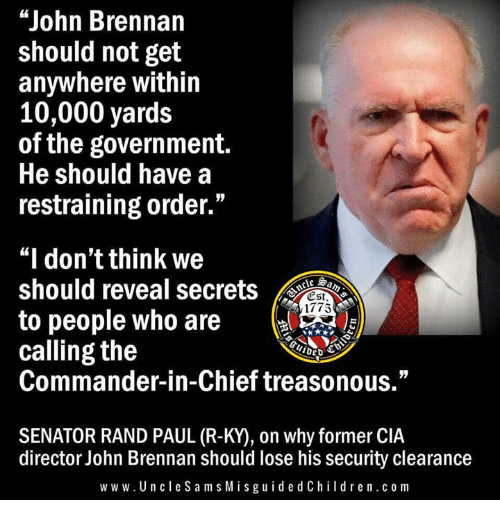 At every turn, Brennan was there. He got the ball rolling, he pulled all the right strings, he whipped up a mood of public hysteria, and he excoriated the president at every opportunity. For those who want to know where Russiagate began, look no further than John Brennan. While watching over these past few weeks the defacto coup plot against President Trump he’d started continue to unfold, in what was called the Mueller Investigation, this report details, former CIA Director Brennan boldly predicted that Special Counsel Robert Mueller was preparing to indict a slew of Trump associates, if not Trump himself—a prediction that spectacularly failed when Mueller not only didn’t indict anyone else, but further declared Trump hadn’t conspired with Russia—to which Brennan was only able to meekly respond to by stating: “I suspected there was more than there actually was”. 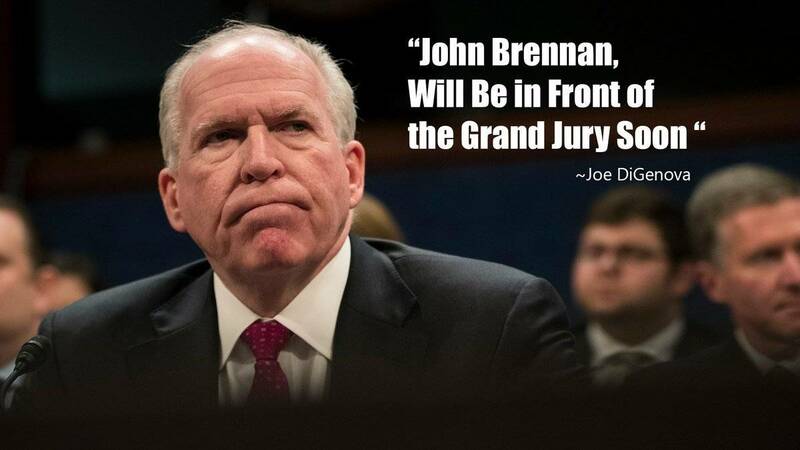 Going from meek to outright mentally deranged, however, this report says, former CIA Director Brennan appears to have lost his mind this past week when US Attorney General William Barr affirmatively stated that Trump’s campaign had been spied on, and that an investigation into it had begun—after which Brennanbegan to publicly attack and demean Barr—a not so wise move, one would logically think as Barr holds Brennan’s fate in his hand—especially when viewed in the light of Republican Party US Senator Rand Paulhaving just presented to Barr information from a “high level source” proving that Brennanhad insisted that the unverified and fake Steeledossier be included in a classified intelligence community report on Russianinterference in the 2016elections—a decision that ultimately lent credibility to the dossier which played a key role in fomenting unfounded fears of Russia collusion for two years—not to mention its bringing the world’s two largest nuclear armed powers to the brink of war. 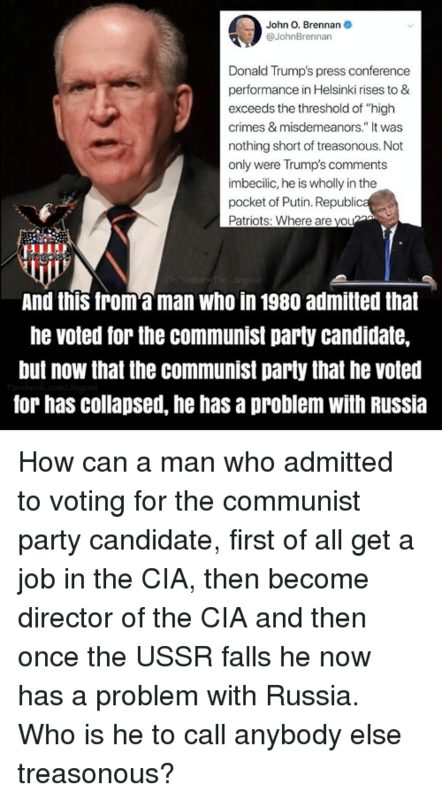 Should former CIA Director Brennan, indeed, intend to seek political asylum in Russia in order to escape a treason trial facing him in the United States, this report concludes, MoFA national security analysts stunningly state they’d strongly encourage President Putin not to grant it—not because of the incendiary bombshell explosion it would create in US-Russia relations—but due to Brennan’s past membership and support of the American Communist Party, and no one being able to explain how he was ever allowed into the CIAin the first place—which is a vital national security issue in Russia where the communists have been outlawed since 1991—and where no tentacles of this deadly and vile political disease that in the past 100 years has killed 100 million peoplewill ever be allowed to infect and kill again. April 14, 2019 © EU and US all rights reserved. Permission to use this report in its entirety is granted under the condition it is linked back to its original source at WhatDoesItMean.Com. Freebase content licensed under CC-BY and GFDL.